PORTLAND, Oregon, May 12, 2013 (ENS) – “The main thing is the oneness of humanity,” His Holiness the 14th Dalai Lama, Tenzin Gyatso, said during an environmental summit Saturday in Portland. 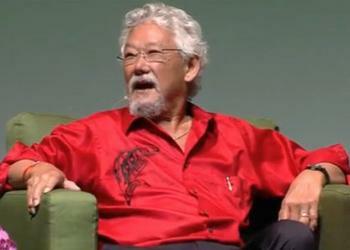 The Dalai Lama shared the summit stage with Oregon Governor John Kitzhaber, Executive Director of the Oregon Environmental Council Andrea Durbin, and David Suzuki, a Canadian scientist, broadcaster and environmentalist. Just to find the space for so many cars would be difficult, the Dalai Lama said. “We must think about these problems that are coming; they are inevitable, these problems,” he warned. “We need first of all a new metric that balances and counts as a deficit environmental degradation, that counts as a plus stay-at-home mothers, volunteerism in the community, and healthy kids,” he said. “I think the fundamental challenge is to say – what does an economy look like that can operate within the environmental and physical limits of the planet and actually moves everybody up,” Kitzhaber said. The summit had been planned for months, but it happened to occur just two days after scientists announced that for the first time in human history, atmospheric concentrations of the greenhouse gas carbon dioxide, CO2, have risen above 400 parts per million. Many climate scientists have warned that 350 ppm is the safe upper limit for CO2 in the atmosphere to avert the worst consequences of climate change – droughts, floods, wildfires, sea level rise, extreme weather and extinction of species. Dr. Suzuki responded with alarm. “A lot of people I have respect for in the world are saying we’ve passed too many tipping points to go back. The annoucement of 400 ppm is absolutely catastrophic,” he said. 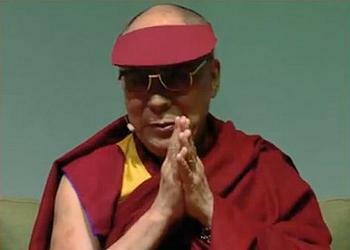 “His Holiness talks about how we have to act as one species, as one group. Now the only time we see that is in movies when aliens attack the planet – then you see the Russian president calling the Chinese president, calling the Americans,” said Suzuki. “Now the atmosphere is the unifying issue. It’s unAmerican to say we can’t do anything about this. 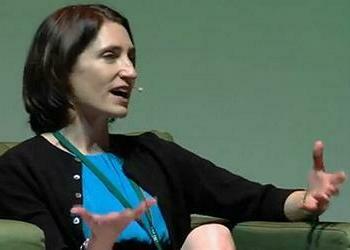 It’s not the American way,” said the Canadian environmentalist and broadcaster. Durbin, who heads the Oregon Environmental Council, said, “I think climate change is the most significant issue of my generation and my childrens’ generation,” but she is also concerned about the prevalence of toxic chemicals. “We are exposing ourselves every day to untested, unregulated toxic chemicals in the food we eat, in the water we drink, our air, the products we use, the buildings we live, work and go to school in,” Durbin said. Durbin would like to see the United States adopt the European system that requires companies to prove a chemical is safe before they allow it into the market. “We need that kind of reform at a national level in Congress,” she said. All speakers agreed that education is the key to environmental protection. In addition to education, Suzuki, Durbin and Kitzhaber all agreed that more political action is needed to turn back the environmental threats facing the planet. 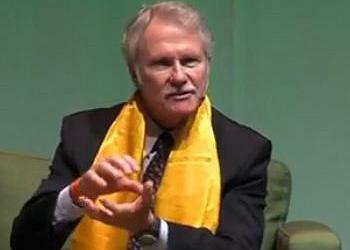 Governor Kitzhaber believes we need to put a price on carbon so carbon dioxide emissions can be limited. “Fundamentally rethinking the economy is the long-term solution,” he said.